Is your PC slow? Fix the problem with a quick download! Tune Up your PC, clean, repair, speed up and back up your system. All in One! Let your PC run fast and clean again. It's that simple! 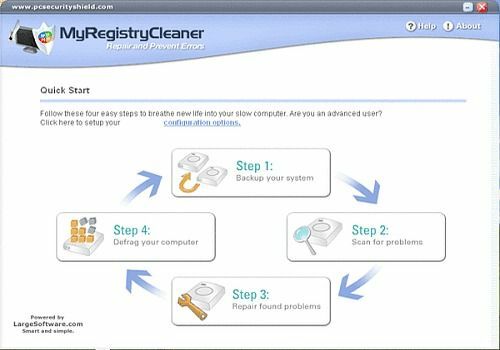 MyRegistryCleaner brings your computer back to life by removing the items that can cause crashes, slow speeds, freezing, and impact the overall health of your computer.